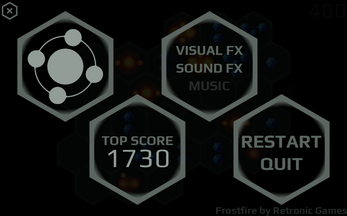 To reach a higher score you need to match three or more similar chips (of the same element, fire or frost, and the same level), merging them into a single chip of the next level. 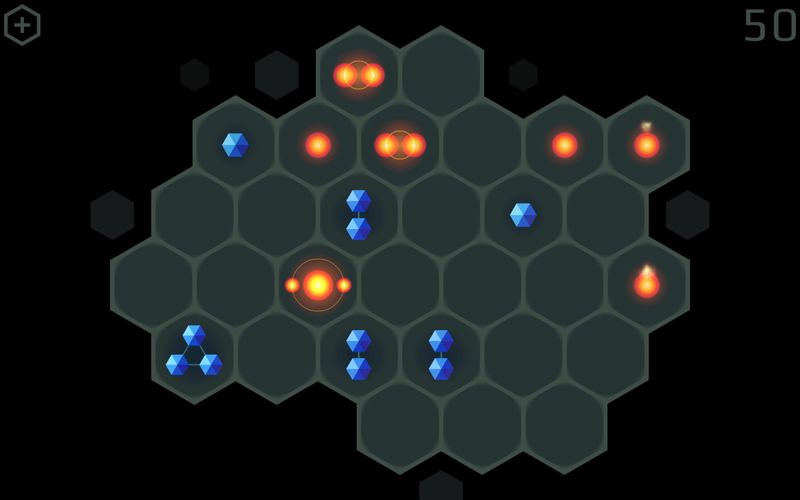 You can move a chip by tapping it and then tapping its destination, provided that there is an unblocked path between these two locations. There are six levels of chips; the higher the level of matched chips, the more points you get. 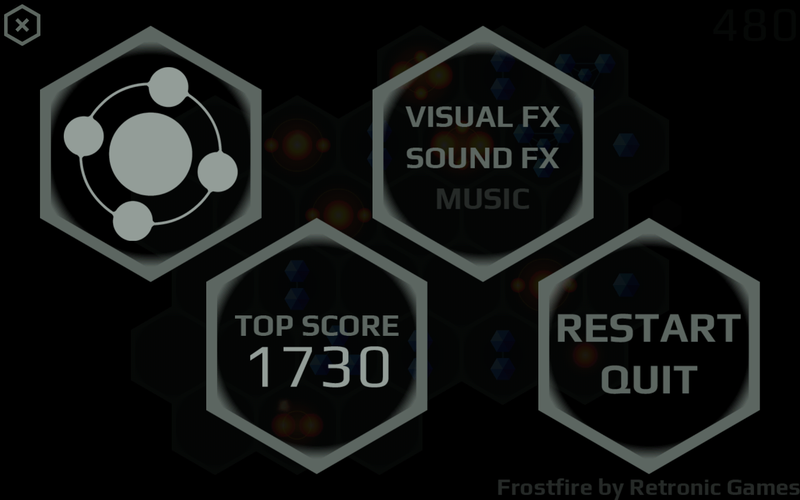 Merging three or more chips of the highest level (of any element) produces the final unremovable chip - Frostfire. 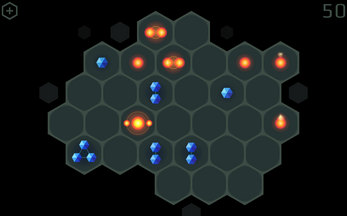 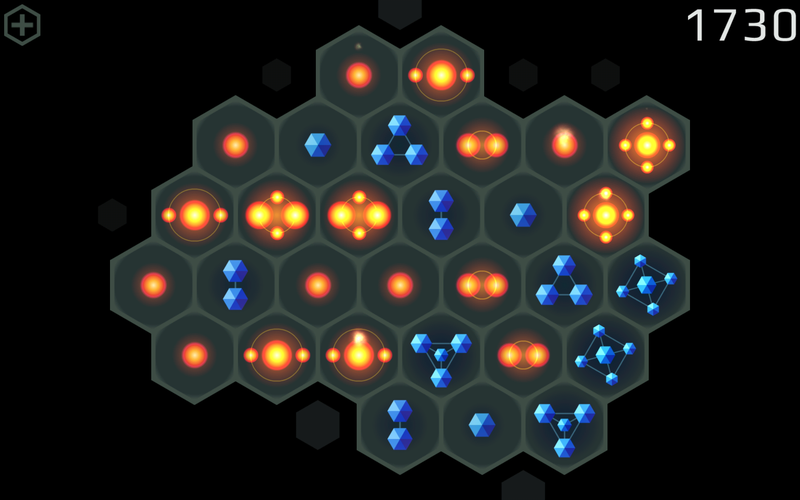 Each new game is played on a randomly generated hexagonal board, making the game less repeatable and sometimes more difficult.